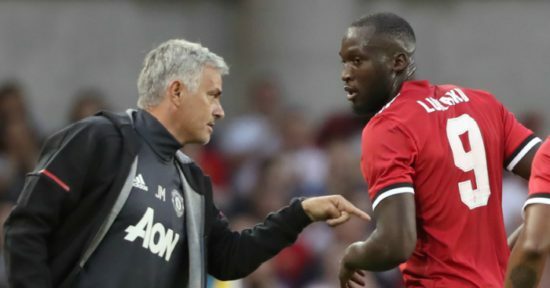 With Liverpool having not kept a league clean sheet since August, Manchester United have been handed a boost as star striker, Romelu Lukaku has been passed 100% fit for Belgium’s final World Cup Qualifier against Cyprus on Tuesday. The 24-year-old striker has been in blistering form since his summer move from Everton and was doubtful for our visit to Liverpool this weekend. He was initially feared to be out injured for some time following his ankle injury in the 4-0 victory over Crystal Palace last time out, but has sufficiently recovered in time to play for his country, though Jose doesn’t want Belgium boss, Roberto Martinez to risk him for what is an inconsequential game. Premier League rivals, United and Liverpool square up on Saturday with the Old Trafford outfit seven points ahead of their opponents who are down in seventh position and seeking a win at Anfield. We have not lost a league match this season, dropping points only at Stoke with Lukaku leading our charge with seven league goals already. He suffered discomfort against Palace but is now fully fit according to Roberto Martinez, the Belgium manager. United sit joint top of the League table alongside bitter rivals, Manchester City with Mourinho knowing that City would most likely get a win at home to Stoke, victory is needed in Merseyside to keep pace with the leaders. Lukaku has hit the ground running since his stunning £75m move from Everton in the summer transfer window, winning over the fans at Old Trafford with his excellent finishing, movement and general contribution. He has scored 11 goals in his first 10 matches for the club, a feat that no other player in the history of the club can match and his links with his former club, Everton who are Liverpool’s crosstown rivals will make a goal even sweeter.